Today, Ubisoft announced that it is working on a ground-breaking documentary, which is set to offer one of the most revealing insights to date into the drug trade in South America, and the battle to contain it. Scheduled to release on March 6th, 2017, the feature length film, titled “Wildlands”, will showcase the real stories behind Tom Clancy’s Ghost Recon: Wildlands’ fictional Bolivian setting. The documentary provides a fascinating insight and wider context to the inspirational themes in the videogame, further highlighting the incredible lengths that the Paris based development team has gone to in order to create a truly believable setting. This feature length documentary explores the real-life stories of key figures, who have been at the centre of the war on drugs from the past thirty years. Viewers will accompany narrator Rusty Young, author of New York Times best-seller, Marching Powder, as he meets the people, who have been involved in shaping the cocaine trade in South America, many of whom are telling their stories for the first time. Travelling from Bolivia, and up through to the United States, he will listen to the fascinating stories of characters from both sides of the law, from the coca farmers, through the drug supply chain, to the Special Forces soldiers fighting the war on drugs – to get a raw snapshot of drug trafficking and production in South America. Wildlands introduces the compelling, unbelievable, and often devastating, life stories of a number of individuals, including – George Jung: The man known for hooking North America on cocaine, George Jung was a major player in the cocaine trade during the 70’s and 80’s and was immortalised by Johnny Depp in the movie ‘Blow’. Adam Newbold: A former Navy SEAL with over 20 years’ combat experience, Adam has worked throughout South America. Tomas McFadden: Reformed drug trafficker, and subject of “Marching Powder”, reveals the tricks of his trade, which saw him become a prolific smuggler, until the day he was arrested with 5kg of cocaine at La Paz airport – leading to a lengthy stay at the notorious San Pedro Prison. Developed by Ubisoft Paris, Tom Clancy’s Ghost Recon: Wildlands, the latest installment in the critically acclaimed franchise, is a tactical military themed shooter videogame set in a massive and stunningly rendered open-world set in a near-future vision of Bolivia. Tom Clancy’s Ghost Recon: Wildlands will be available on March 7th 2017 for Microsoft Xbox One, PlayStation®4 entertainment system and Windows PC. 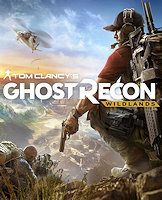 For more information about Tom Clancy’s Ghost Recon: Wildlands, please visit www.ghostrecon.com. For more details on the ‘Wildlands’ Documentary, please visit www.ghostrecon.com/wildlands. With Sniper Elite 4 just two weeks from launch, Rebellion has released a brand new gameplay trailer profiling the highly anticipated World War 2 shooter in detail. An expansive campaign for 1-2 players: Explore 1943 Italy and fight alongside the brave men and women of the Resistance. Hunt down a terrifying new weapon that threatens the entire Allied fightback. A deep and rewarding sniping simulation: deliver pinpoint assassinations at extreme distance, adapting to wind and gravity, and adjusting for range with scope zeroing. Traverse massive environments featuring hundreds of enemies and vehicles: Find your ideal sniper’s nest, outmanoeuvre your enemies or hunt them up close. Combine suppressed weapons with deadly traps to torment enemy formations and isolate priority targets. Employ a massive, personalised arsenal including iconic World War 2 rifles, submachine guns, shotguns, explosives and heavy weapons. Adapt your loadout for each mission and upgrade core attributes like scope magnification, stability, recoil, muzzle velocity and more. Challenging online co-op & multiplayer modes set across six gorgeous custom-designed maps. Take on dedicated co-op modes for up to 4 players and prove your mettle across 7 competitive modes for up to 12 players. It’s time to deploy, sniper. It’s time to liberate Italy and set the wheels in motion for victory in Europe. Sniper Elite 4 releases for PlayStation 4, Xbox One & PC on February 14 2017. For more game info head to the Sniper Elite 4 website. The release date of the first DLC for Tigers on the Hunt is approaching, so it’s time to take a closer look! In this video introduction, our friend idjester will give an overview of the three scenarios featured in Kursk. These scenarios are three times larger than the ones in the base game, covering different moments of the greatest armored battle in the entirety of World War II! With a huge focus on historical accuracy, Tigers on the Hunt: Kursk will be a nice addition for every lover of tactical wargames! 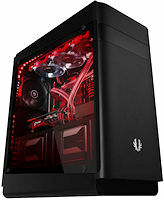 We review the new Shogun Midi-Tower PC Chassis from BitFenix today, a product series that is designed with style and features in mind. Next to that it also harbors some of the more innovative features that I have seen in a while. For example this chassis is AURA Sync compatible (ASUS), but also works fine without it of course. Next to that there is a lot customizable in the chassis, things you can move around and swap out. Also really funky to see are graphics card rests. You know how heavy graphics cards can be these days? Well, they tend to bend through a bit, and BitFenix came up with a simple and clever solution to tackle that issue. Next to that the chassis offers a fairly tool free installation, offers much space, loads of room for cable-routing and yeah, it does look cool, VERY cool if I may say so. You can now download Radeon Software Crimson ReLive Edition 17.1.2. This release will add support for the early access/beta launches of Conan Exiles and Ghost Recon Wildlands. This release will also contain new stability improvements and fixes for end user issues. Read the release notes here. You can download the Radeon Software Crimson ReLive Drivers version 17.1.2 here. Ubisoft has announced that the Tom Clancy’s Ghost Recon: Wildlands Closed Beta will be available from February 3rd – 6th, 2017, on current-gen consoles and PC. Pre-load will start on February 1st. Players waiting to see what it truly takes to become a Ghost can still sign-up to have a chance to participate in the Closed Beta at GhostRecon.com/Beta. Each selected player can invite up to three friends to join their team on the same platform. The Closed Beta will introduce players to near-future Bolivia as they explore Itacua, a flourishing and mountainous province. As Ghosts, players will work together to take down key members of the Santa Blanca drug cartel as they dismantle the criminal organisation. Similar to the full game, all the content in the Closed Beta will be playable with up to three friends via four player co-op, or in single player. Players are free to utilise any variety of vehicles, tactical equipment and weapons to get the job done. Set in the largest, action-adventure open world ever created by Ubisoft, Tom Clancy’s Ghost Recon: Wildlands takes place in Bolivia, a few years from now, as the country has been turned by the vicious Santa Blanca drug cartel into a narco-state. Players are tasked with eliminating the cartel by any means necessary. The massive and responsive open-world encourages a variety of playstyles, allowing players the freedom to choose how they execute any and all missions. For more information about Tom Clancy’s Ghost Recon: Wildlands, please visit ghostrecon.com. Leading interactive entertainment media publisher and developer BANDAI NAMCO Entertainment Europe is excited to announce that Ace Combat 7: Skies Unknown will be coming to Xbox One and STEAM®. Already announced for the PlayStation®4 computer entertainment system, Ace Combat 7: Skies Unknown puts gamers in the cockpit of advanced war planes and delivers fierce air combat experiences through photorealistic visuals, intense dog-fighting action, and a multitude of authentic and futuristic aircrafts to fly, all encompassed in an immersive storyline. 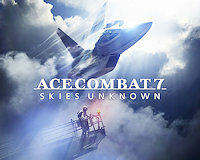 Developed by BANDAI NAMCO Entertainment Inc.’s in-house Project Aces team based in Tokyo, Japan and utilizing Unreal Engine™ 4 with a unique and brand new dynamic feature, Ace Combat 7: Skies Unknown applies the latest evolution of its graphics engine in conjunction with the power of the latest generation of gaming consoles and PCs to create immersive aerial battlefields. Fully rendered clouds fill the skies while highly detailed cityscapes enhance the sense of supersonic speed, setting the stage for highly exhilarating aerial battles. Ace Combat 7: Skies Unknown will provide an arsenal of ultra-modern and near-future super weapons for players to wield, while presenting formidable enemies for pilots to vanquish in the air. Aces who have proven their aerial combat prowess in Ace Combat 7: Skies Unknown’s campaign mode can take their dogfighting skills online for furious online multiplayer battles. Ace Combat 7: Skies Unknown also marks the return of Sunao Katabuchi as the lead writer behind the fictional storyline that players will experience in the game. Previously, Sunao Katabuchi wrote the storylines for both Ace Combat 4: Shattered Skies and Ace Combat 5: The Unsung War. Ace Combat 7: Skies Unknown is currently rated PEGI 16. The game will be coming for the PlayStation 4 system, Xbox One, and PC via STEAM. PlayStation 4 system players will be able to play portions of Ace Combat 7: Skies Unknown and experience exclusive features developed specifically for the Sony PlayStation®VR. To find out more about Ace Combat 7: Skies Unknown, head over to the games official website. CI Games presents the first in a two-part series of videos on sniper tactics for Sniper: Ghost Warrior 3. In this gameplay video, players will learn more about scope calibration, positioning, and the drone itself. Watch part 1 of the Sniper: Ghost Warrior 3 Sniper Tactics video here. In the main story of Sniper: Ghost Warrior 3, the player takes on the role of Jonathan North, an American Marine dropped into the Republic of Georgia to accomplish a highly classified Joint Special Operations Command (JSOC) mission. But, his personal mission is to find his kidnapped brother. Check the distance to your target and set the elevation on your scope accordingly to compensate for bullet drop. Check the wind indicator as well as the wind influences whether the bullet will drift to the left or right. When all is set, exhale and take the shot. Take advantage of Jon’s surroundings to maximize his effectiveness in an area. Use the environment to reduce weapon sway while aiming. Crouching and lying down also reduces weapon sway. Sniper bullets are strong and can penetrate multiple targets if lined up correctly, and special sniper bullets can even penetrate walls and other barriers. Recon is critical to planning your mission prior to infiltration of an area. The drone can locate and mark enemies, sabotage objects and enemy devices. A simple flyover of the area can expose weak points in the enemy encampment allowing Jon to take out his enemies with deadly precision. Sniper: Ghost Warrior 3 is story of brotherhood, patriotism, and betrayal in the most complete sniper experience ever released. Take the role of an American sniper named Jonathan North, who drops into enemy territory in northern Georgia as the country is dissolving into a bloody civil war. Explore large open-world maps with dynamic weather conditions, and a day and night cycle that impacts play and player decision-making. Customize weapons, equipment, accessories, vehicles, and a drone, and utilize the three pillars of gameplay to your liking: Sniper, Ghost, and Warrior. To learn more about Sniper: Ghost Warrior 3, visit the games official website. Game studio Driven Arts just released Days of War on Steam Early Access for $24.99 / €24,99. This release comes with a great surprise; 100 player battle events! Watch the Early Access trailer, a homage to Saving Private Ryan, here. Desiring a classic fast-paced WW2 FPS in the style of Day of Defeat, Medal of Honor, Call of Duty 2 and Wolfenstein Enemy Territory, game studio Driven Arts has built the next generation of class-based multiplayer shooter: Days of War. After being funded on Kickstarter last year by a group of like-minded fans, Driven Arts has released Days of War on Steam Early Access while it completes development on the game. Watch Early Access gameplay trailer here. Days of War offers a classic style approach to the WW2 shooter genre, re-introducing fast-paced battles ranging from highly tense 12 player competition to bigger scale 32 player firefights. Alongside the Early Access launch and the given roadmap, Driven Arts is announcing the introduction of epic 100 player battles on Omaha Beach. Although the feature is still in development and not added to the base game yet, Lead designer Lee Snodgrass says: “We love tight competitive gameplay more than anyone, but World War 2 was defined by its massive battles and invasions, and we want to bring that experience to Days of War with 100 player combat”. The first 100-player-battle weekend event is announced on Steam between the 3rd and 5th of February. Players can see more details in the Steam Hub. To celebrate this milestone, 100 Steam keys will be given away via Facebook and Twitter. To participate, follow the social media channels, where instructions will follow soon. You can find the official Days of War website here.